1880, paulownia wood, found in Korea after the Japanese Occupation of Korea; original old-fashion key survived. Certified. 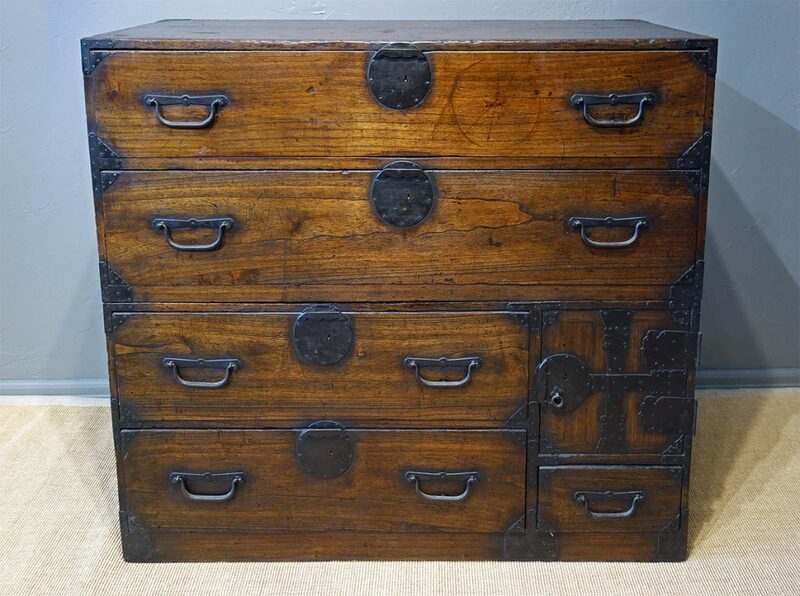 This chest was made in Japan but taken to Korea during the Japanese Occupation of Korea. It was found after the war by an esteemed American missionary doctor who went to Korea to treat the sick and dying, and is certified by a Korean Professor of Korean History and Antiquity, one of only thirteen certifiers approved by the Korean government in the 1900s. It has great historical value. The piece shows scratch marks in front and has some cracks in the back that are restored in Korea. 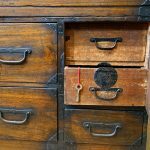 An original old-fashion key unlocking all the drawers survived and is valuable to the piece. 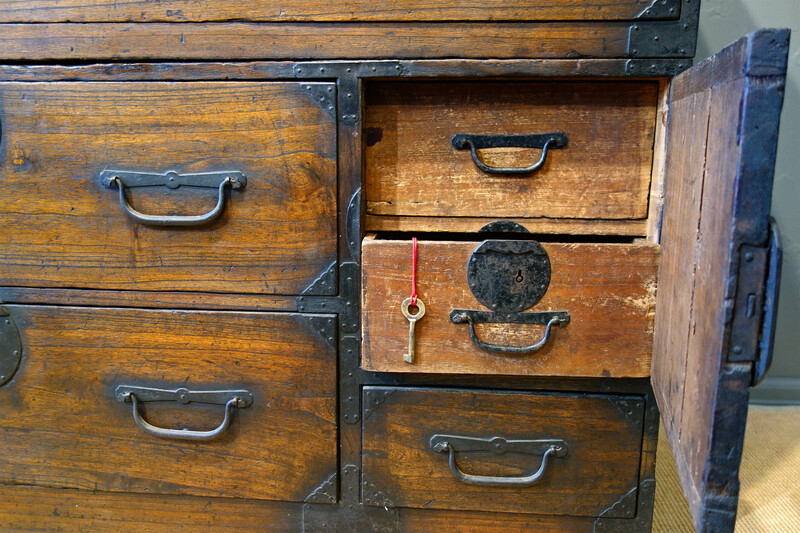 The chest displays a beautiful patina and would add great interest to any room, traditional or contemporary.